Are you familiar with the term “bonding”? It’s a form of restorative dentistry that can permanently attach dental materials to your teeth by incorporating the use of dental adhesives and a curing light. It’s very possible that you’ve received some type of bonding treatment in the past but just never realized it before! A chipped or fractured tooth is something you don’t want to endure – it can even pose dangers to your oral health. When you have 21st Century Dental on the job, you can do no wrong! 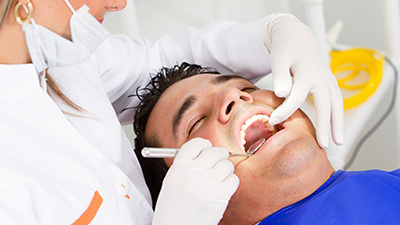 Our composite bonding process repairs chipped or fractured teeth easily here in Las Colinas. Why Choose 21st Century Dental for Cosmetic Bonding? What Does the Cosmetic Bonding Process Consist Of? A rubber damn is inserted. This helps isolate the teeth while keeping moisture out. A painless phosphoric acid solution is applied to your tooth’s surface. This acid etching of the tooth helps strengthen the composite bond and adhesive. After leaving the acid on your teeth for 15 seconds, our team will remove the acid and replace it with a liquid bonding agent. The tooth’s surface is covered with a putty-like composite resin in stages. It’s followed up by shaping and sculpting. Our team uses a high-intensity light to harden the composite layers. Then, the previous step is repeated and cured until the filling is in its final form. The process is finished by ensuring the bonded resin doesn’t become dislodged or will cause any tooth sensitivity. 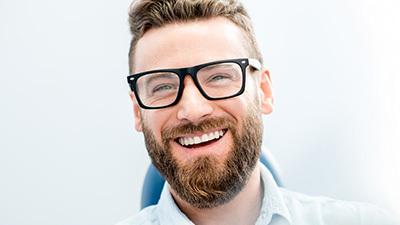 These composite bonding restorations can give you a healthy smile for years to come, but maintaining great oral hygiene is important to help keep it from failing. Don’t practice bad dental habits during this time that could potentially damage any work that’s been completed.